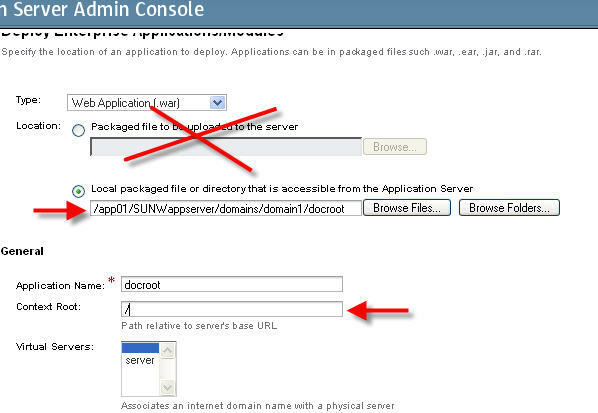 If you put a webapp under glassfish-v2\domains\domain1\docroot, only jsp/html files will render. If there is a servlet call (http://atowus:41877/service?svc=upload&action=list&uploadPath&&#8230;) from jsp/html, it wont work and you will get a 404, because of by putting a webapp under docroot wont register to server.xml. Make sure read about alternate doc root issue before do this for your glass fish. How can I disable directory listings for my web application? In your domain’s default-web.xml, search for the definition of the servlet whose servlet-name is equal to default, and set the value of its init parameter with name listings to false. Redeploy your web application if it has already been deployed, in order for the new setting to take effect. Yes, the setting is global. There is no per-directory granularity. Then I guess install Apache in front solve the issue. * GlassFish Wiki, GlassFish Forum, Documentations and many more …..
4. Take your “heavy” database based application(s), create WAR files for them and bundle them with the EAR with your back end EJBs. This lets them rely on the local interface for performance and such. 5. For simple application, I would simply make then independent WAR files, but NOT bundled within the EAR. If they need any DB access, it’s most likely lightweight access. They can get their services from the same EJBs that are in your EAR, but you’ll use the remote interface to support them rather than the local. 6. The reason I would pull them out, is that you can trivially create a skeleton web app directory structure, put the files and folders in the structure, and then deploy the directory (rather than a WAR file) in place in to the app server. The users can then simply upload static content or JSPs all day long without having to do a redeploy. It also keeps their content out of your EAR, giving you more flexibility on how it’s deployed and what not. 7. You can also just dump everything in to one large directory stucture, all within the same EAR, and simply deploy the structure. But I like the separation and modularity of the “micro sites” being in their own deployment structure. Marketing folks move faster than back office folks, so if they want to add some servlet or make some tweak, it’s not big deal to redeploy their little piece of the server. In GF you can’t redeploy a WAR individually within a EAR, you need to deploy the entire app. With seperate WARs, you can bring them up and down independently. Again, if it’s mostly just static content, there’s no reason to redeploy, but it’s an option if they start wanting some local dynamic logic that needs a new jar or something. 8. The overall key is to keep your EJB tier as stable and robust as practical so it doesn’t change as much. 9. DO be careful talking to remote beans. Local interfaces can make you lazy and passing that “large list of stuff” is no big deal with a local interface, but with a remote interface it’ll beat you up. But certainly don’t be afraid of remote interfaces, used judiciously they give you a lot of flexibility (like when you want to, say, move the brochure sites to their own server, they can still access the EJBs from the main server — amazing!). 10. Also, you can play with the virtual hosts if you like, and make simple static sites with those. Then you can have, say, “brochure.example.com”. Set up a bunch of those and you can run them in the same server or on different servers. Do a static site, or a simple WAR based site. Whatever you want. It’s all straightforward. 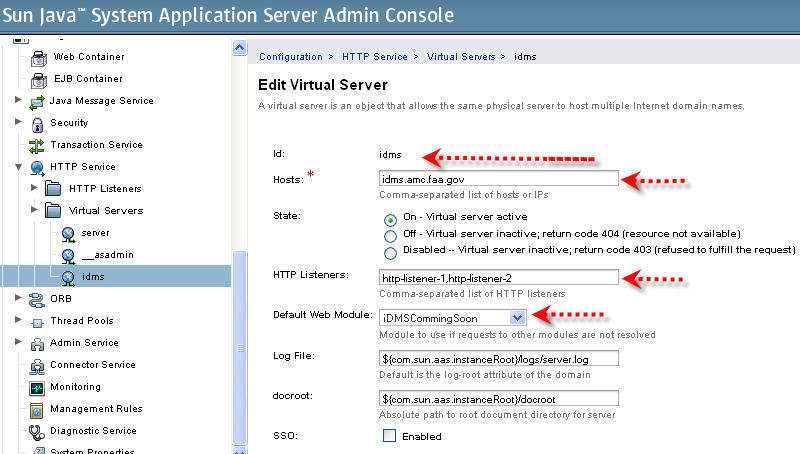 If you are more familiar with the admin console, you can do this by going to the virtual server page. Above example works great in Solaris as well. But when I set up my root application to the alternatedocroot, I could not access any of /web/docs directories like user_documents, fileUpload etc. http://atowus2:41877/user_documents/test.txt –> It wont work. The reason I could not access my /user_documents/test.txt is because, I set up my application root c ontext (/) to glassfish docroot, although I added additional property (alternatedocroot_1), it still kept looking at the glassfish original docroot instead of alternate docroot. I had couple conditions that I was trying to work with so everything would work seamless like it had been. 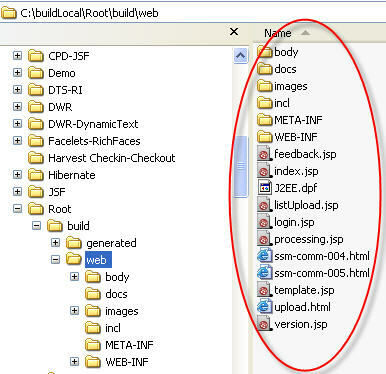 Work around: I kept my root application contents (body, images, WEB-INF, index.jsp etc) under web/docs with other directories, like user_documents, uploadFiles, cm etc. So instead of previous example, I did the following steps and it seems to be working.